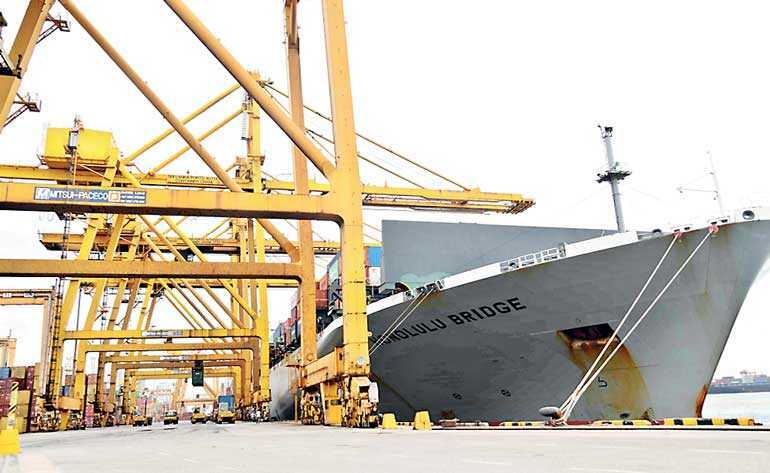 Ocean Network Express (ONE) commenced calling the Jaya Container Terminal (JCT) of Sri Lanka Ports Authority (SLPA) with the handling of the inaugural vessel MV “Honolulu Bridge” v.100E recently this month. ONE is the ocean carrier formed with the merger of the three large Japanese shipping lines of their container operations. The three lines NYK, MOL and K Line first announced the merger in November 2016 and commenced single joint operations in April 2018, making them the sixth largest carrier by size with nearly 7% market share. With a fleet of 230 containerships, the company seeks to meet customers’ needs by providing high-quality, competitive container shipping services with the consolidation and enhancement of the three companies’ global network and service structures. The integration lets ONE to incorporate best practices from the three companies and to take advantage of their combined 1,440,000 TEU fleet size. Supported by a worldwide high level, globally-connected organisation, it offers 85 service loops and a comprehensive network linking more than 200 of the world’s major ports. A special plaque exchange ceremony was held on-board the vessel to commemorate the occasion with the participation of the Master of the vessel Captain M.L. Prudente Jr, Sri Lanka Ports Authority (SLPA) Chief Manager (Marketing and Business Development) Upul Jayatissa, Jaya Container Terminal (JCT) Chief Operations Manager I.K. Gnanathilaka, Ocean Network Express Lanka Ltd. (ONE Lanka) Managing Director Vishvanath Daluwatte and ONE Lanka Senior General Manager Ayesh Perera. At the ceremony, the company mentioned that the Jaya Container terminal and the Port of Colombo are key partners for ONE in its quest to sustainably satisfy customer expectations.